Today is Cyber Monday and we are continuing our Black Friday blowout sale until the end of this week. Special thanks to everyone who stopped by during the Black Friday Sale last week and congratulations . . . everyone walked away with HUGE savings. Please let your family and friends know that they can still take advantage of Black Friday Savings until the end of this week. 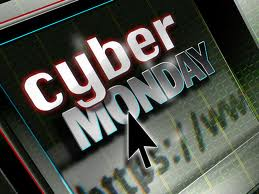 If you can't make it into our store, do take advantage of the Cyber Monday savings in our online store. Please check the Thomas FX Facebook page for details and coupon codes.